Texas Chili Recipe-Beefy, Thick, Spicy and Smokey! Texas Chili Recipe – Beefy, Thick, Spicy and Smokey! 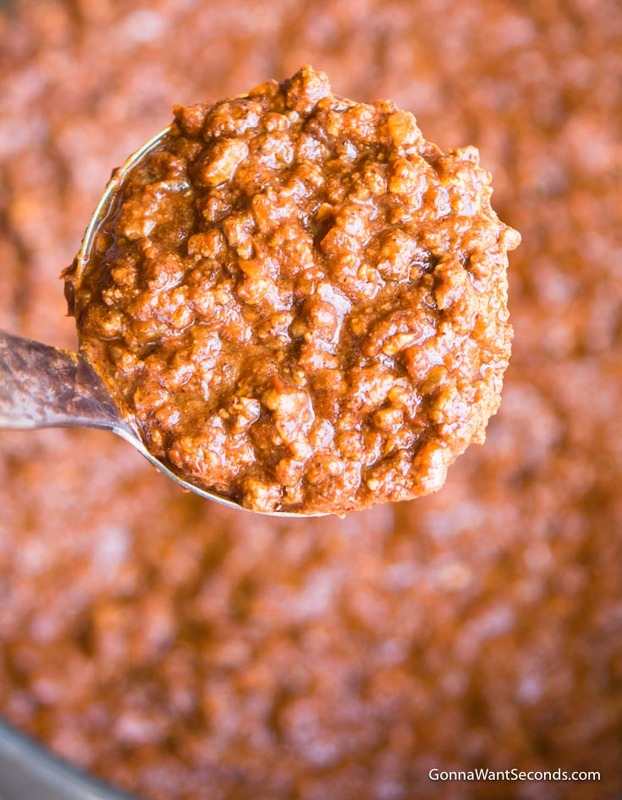 Our authentic Texas Chili recipe is beefy, thick, spicy and smokey. This “Bowl o’ Red” is hearty and succulent homemade goodness your family will LOVE! Texas Chili is a staple in many a Southerner’s diet. In fact, chili is the state dish of Texas! Recipes are passed from generation to generation and often contain closely guarded secrets. Every cook and diner has his or her own opinion on what ingredients and steps are required, and which are prohibited, in the making of Texas Chili. 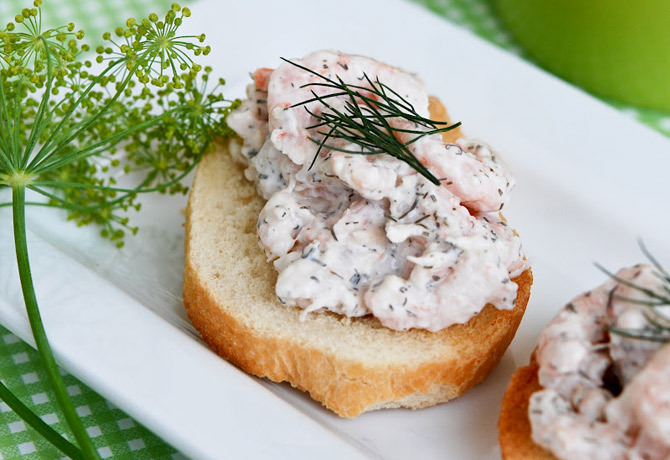 Read on for my favorite version of this timeless dish. Spoiler alert: it includes tomatoes, but excludes beans! 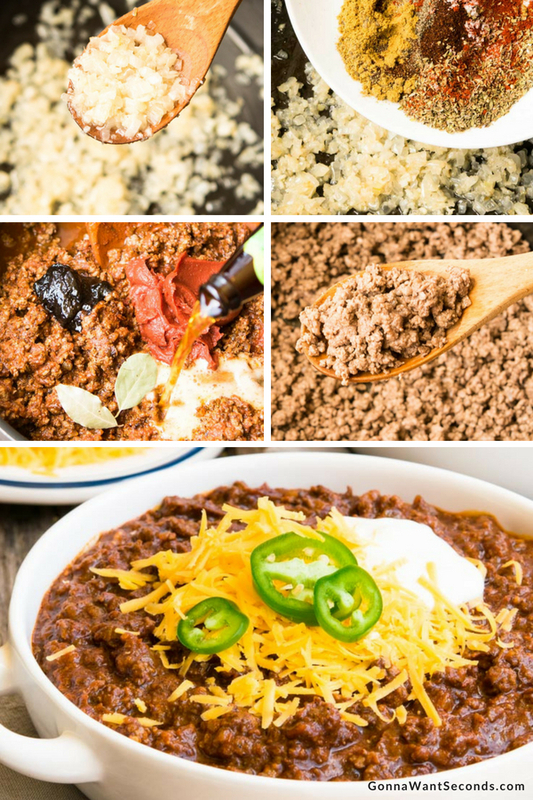 If you enjoy this homemade Texas Chili recipe, you will love its close relatives, Walking Tacos and Frito Pie. Texas Chili is the primary ingredient in Walking Tacos, so once you have followed the steps below, you are halfway home. Simmer up a pot of full-flavored Texas Chili today and warm your diners to their bones. They are sure to ask for another helping. I love how thick and meaty this chili is! 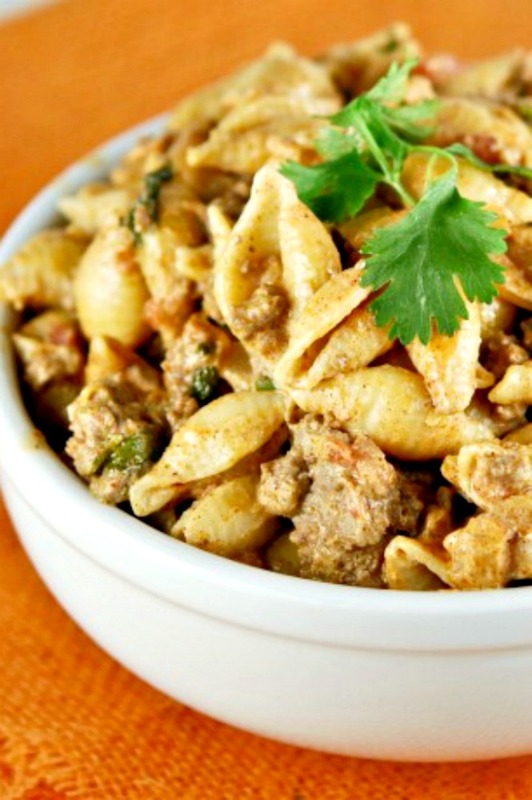 Texas Chili makes a good base for a variety of other southern dishes. The full, hearty flavor will leave no one hungry! 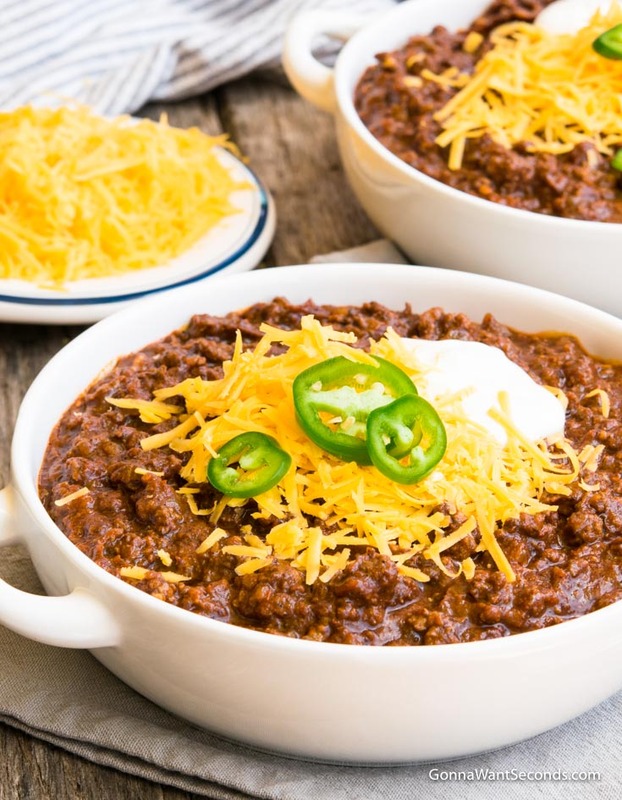 Texas Chili is a classic southern dish, though it is also a favorite in many areas above the Mason-Dixon Line. The primary ingredients in an easy Texas Chili recipe are tender beef, seasoned onions, and ground chilies. Recipes vary from there. 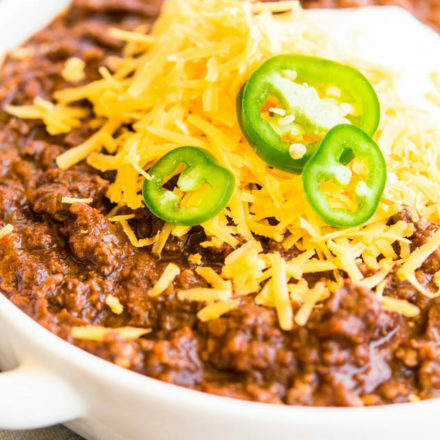 Texas Chili is one of those fundamental recipes that every home cook eventually tries their hand at. As a potluck go-to or hearty meal for hungry families, it possesses a depth of flavor that has been refined via many iterations. The Houston Press describes chili con carne as a uniquely Texan invention from the 1800’s, popularized by working class “chili queens”. Some stories trace chilies history even further back in time. One legend claims that a small town Spanish nun was the first to record the recipe, in the 1600’s—after her spirit traveled across the ocean to preach Christianity to the Native Americans, according to National Chili Day. While the list below will, of course, be contentious to some, here is what I believe are the essential ingredients. My Texas Chili recipe (no beans) requires beef, aromatics, chilis, tomatoes, masa, and spices. Beef: You will need a cut that has sufficient fat to hold up to the simmering process and deliver a texture that isn’t dry. Hand cut cubes from a chuck roast work beautifully. I prefer a coarsely ground 80/20 (also called a “chili grind”) that I can pick up from my local butcher. You might also use a standard grind 80/20, but it will have a smoother, less chunky texture. Onions: Help produce its classic, perky aroma. Grinding your own chili’s is absolutely an upgrade, but a good commercial brand will also do the trick. 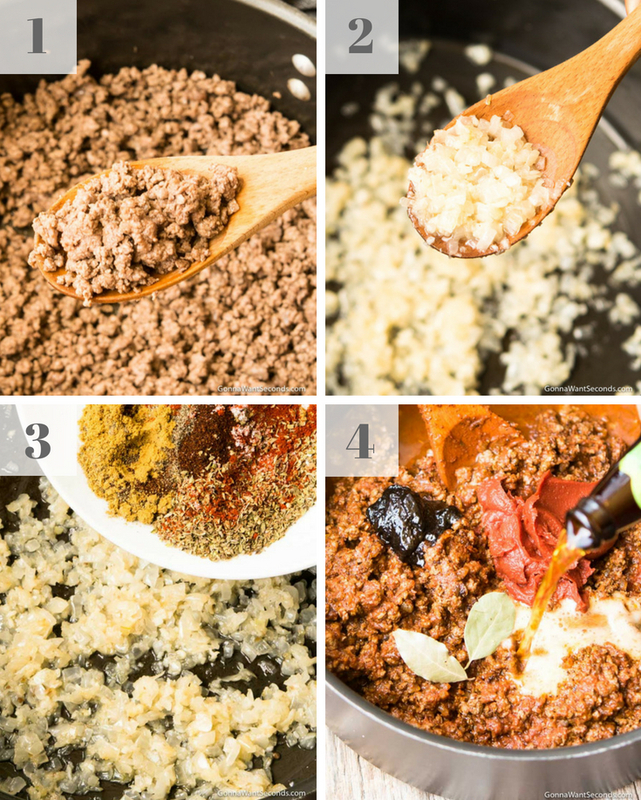 The added convenience of purchasing pre-ground chili will likely encourage you to make the recipe far more frequently. Check out this link for the best supermarket chili powder. TIP: If you do grind your own whole chilies, one whole chili makes about 1-1 ½ teaspoons of ground chili powder. Tomato: This is probably the most controversial ingredient in an authentic Texas Chili! I will admit, I prefer tomatoes in my Texas Chili, as do many Texans! Many people do like their chili gravy tomato-free, however. Chili Con Carne, for example, differs from Texas Chili in that it has neither tomatoes nor beans. 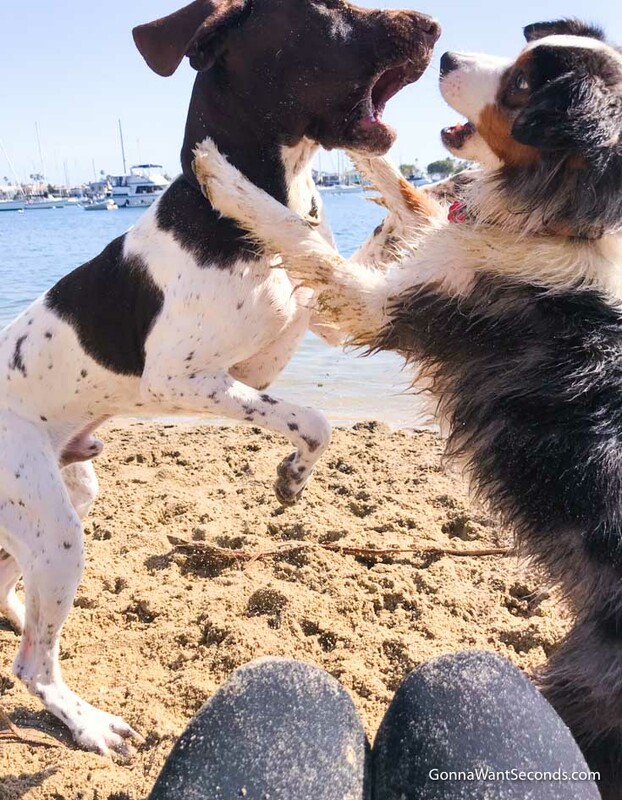 I say, let there be peace amongst us friends! Masa: Masa is a flour made from corn flour. It is commonly used in Latin American dishes like tamales and tortillas. Better than Bouillon: Beef Better than Bouillon is my totally unauthentic but incredibly flavorful addition to this recipe. 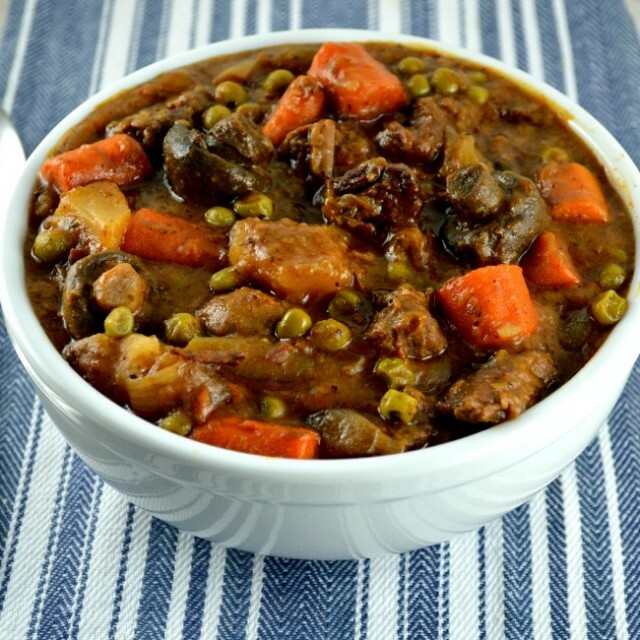 I habitually add this to my soups and stews to enhance their beefy flavor. Watch out—it might just become YOUR new favorite—a secret ingredient that takes your recipes to the next level! Texas Chili is made by simmering beef with beer and a variety of spices and seasonings. 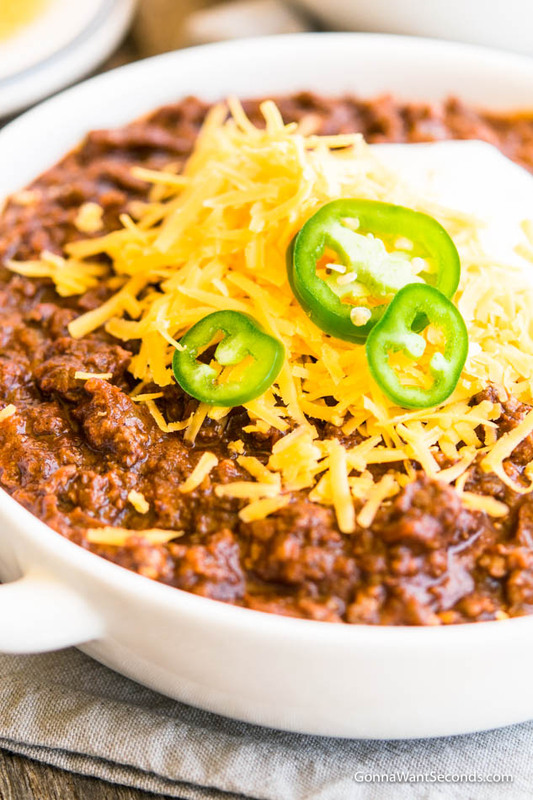 Follow these four easy steps to rustle up your own award-winning Texas Chili recipe. First, brown your beef. Next, cook the onions with garlic, chili powder, cumin, smoked paprika, and oregano. Third, add salt, pepper, bay leaves, diced tomatoes, tomato paste, Better than Bouillon, amber ale beer, and water, and add the beef back in. Finally, supplement the mixture with additional beer and water as needed. Dinner is served! Brown the beef in batches. Cook the onion until soft. Stir in the garlic and the spice mixture. Return the beef to the pan and add the salt, pepper, bay leaf, diced tomatoes, tomato paste, Better Than Bouillon, 3/4 cup of the amber ale beer and 1/3 a cup of water and simmer 20 minutes. Not Pictured- Add the remaining 3/4 cup of beer, another 2/3 cup of water, and masa and simmer 30-40 minutes, stirring occasionally, until chili is thick. Alternatively, you can hand cut cubes from a chuck roast. Your local butcher can point you to these options if you have trouble locating them. Our authentic Texas Chili recipe is beefy, thick, spicy and smokey. 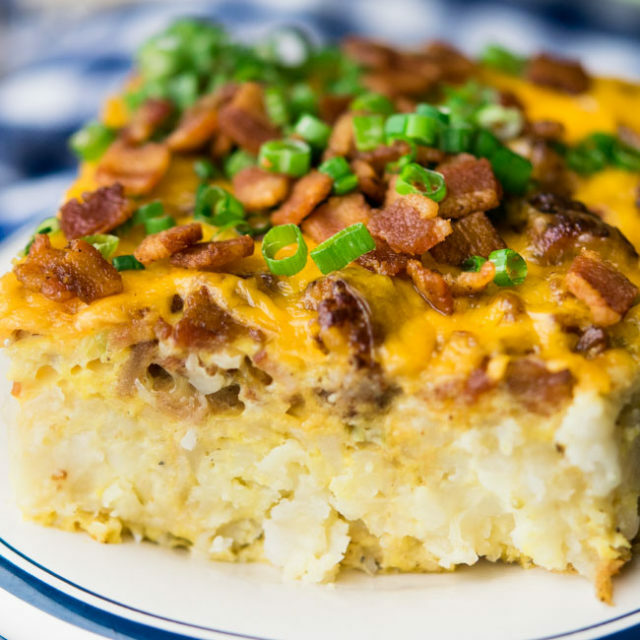 This "Bowl o' Red" is hearty and succulent homemade goodness your family will LOVE! In a 6-quart saucepan, over medium-high heat, brown the beef crumbling as it browns, in batches so as not to crowd the pan. Remove the browned meat to a paper towel lined plate. Remove all but 1/4 cup of the fat in the pan, if there's not 1/4 cup fat, add vegetable oil, as needed. Add the onion and cook, on medium, stirring occasionally, until browned and soft, about 10-12 minutes. Stir in garlic, chili powder, cumin, smoked paprika and oregano and cook, stirring constantly so as not to burn the spices, until the spices are fragrant, about 1-2 minutes. Return the browned beef to the saucepan and add the salt, pepper, bay leaves, crushed tomatoes, tomato paste, Better than Bouillon, 3/4 cup of the amber ale beer and 1/3 a cup of water and simmer 20 minutes. Add the remaining 3/4 cup of beer, another 2/3 cup of water, and masa and simmer 30-40 minutes, stirring occasionally, until chili is thick. Serve with any toppings you like. Types of chili powder: Chili powder selection is no trivial matter for true chili aficionados. My family prefers meals on the milder side, so I usually go for a good commercial blend that is readily available at the supermarket. I want the result to have a sturdy chili flavor with big deep tones and detectable smokiness. 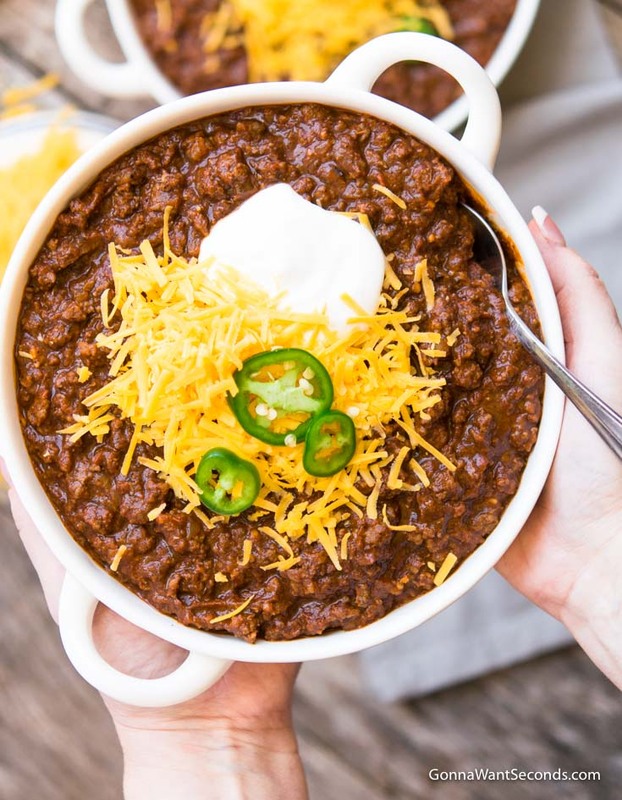 How to freeze: This homemade Texas chili recipe freezes very well in any standard freezer-safe dish. Simply stow the remainder of your meal in an airtight container, label it, and it will retain its flavor for several months. Some say it tastes even better the second time around! Better than Bouillon: A blendable beef base made of meat, spices, and vegetables, Better than Bouillon packs a flavorful punch. According to Cook’s Illustrated, this brand has a “fuller” taste than the alternatives, “stores easily,” and “dissolves quickly”. And it’s cheap to boot! Cook’s Illustrated rates Better than Bouillon as their #1 winner for Beef Broth. , Better Than Bouillon is available at most supermarket, and sometimes at Costco. Like the masa above, it can’t find it at your local supermarket, you can get on Amazon Here. Texas Chili with beans?? In my opinion, heck no! 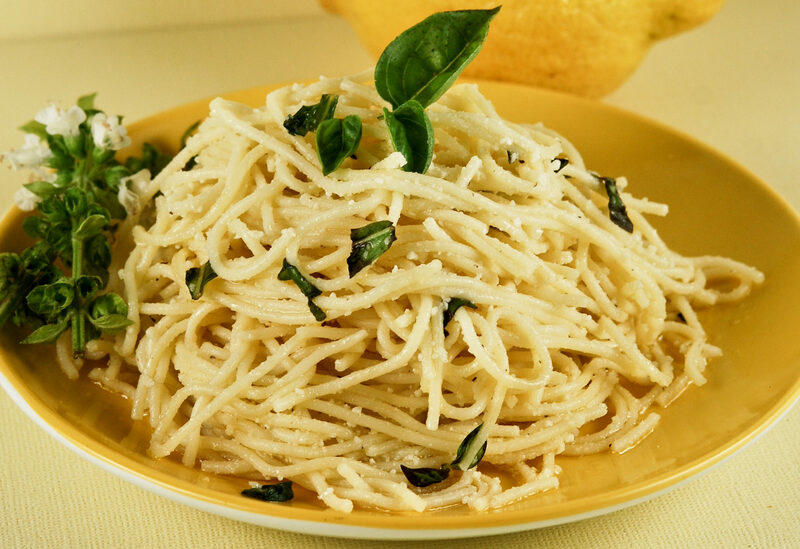 But there are many well-loved varieties of this dish and to each her own. I prefer the bean-free version because it allows the tomatoes and onions to shine and reduces the risk of other flavors and textures overpowering the robust beef mixture. There are plenty of chili recipes out there that include beans, however, and these have the benefit of additional fiber and protein. Follow the recipe instructions above for steps 1-3. Add the salt, pepper, bay leaves, crushed tomatoes, tomato paste, Better than Bouillon, ALL of the amber ale beer and 1/2 a cup of water, and the masa and simmer 20 minutes. Cook on high for 4-6 hours or low 8-10 hours. If the chili is too thick, slowly add water, a little at a time, stirring well to incorporate. Adjust seasoning and serve. A lot of recipes will instruct you when making chili in a crockpot to add the meat raw. For me, it’s absolutely necessary to brown the beef before adding it to the crockpot. Browning it caramelizes it and develops more flavor in the meat. That just won’t happen if you added it to the crockpot raw. Also, if it’s added raw to the crock pot, the texture of the meat comes out more clumpy and greasy. If it’s browned first, you can easily drain any extra fat. I know it’s a little more work and an extra pan to clean, but if you’re making a big pot of this Texas Chili, I think that little extra investment of time is worth having a better flavor in the overall dish! Check out Texas Chili wiki for more ideas. 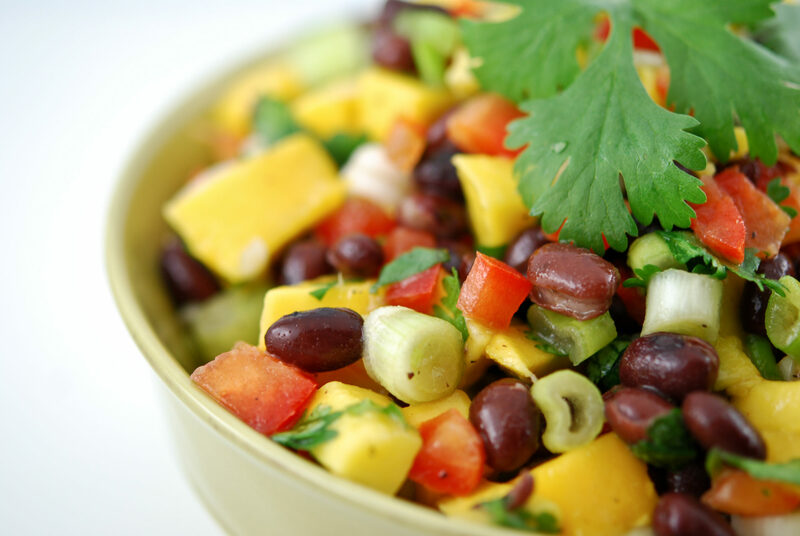 Next RecipeDorito Taco Salad- Hearty, Refreshing And Loaded With Goodies! Excellent recipe. You covered the very important step of browning the meat. Personally I would increase the chili powder by by 2 or 3 tablespoons but that’s just me. Not for heat but for depth of flavor. 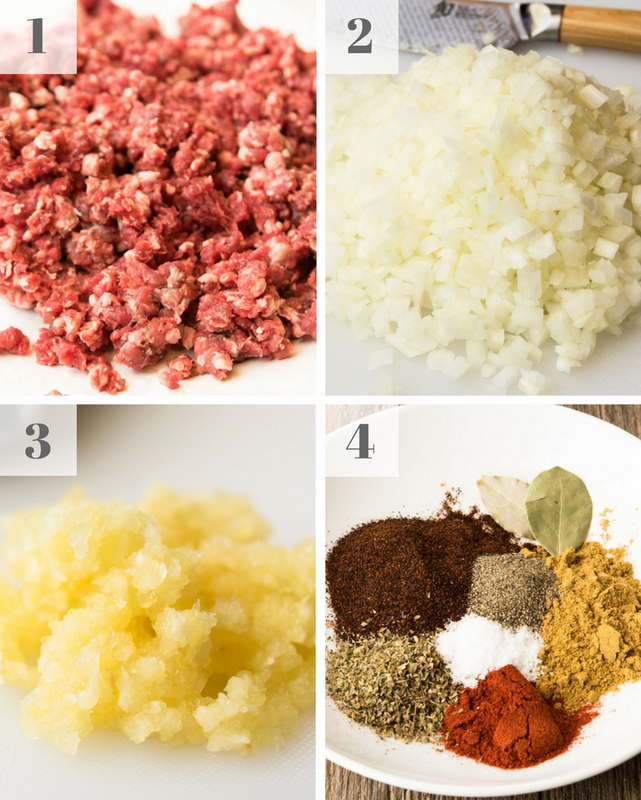 I’ve always been know to throw in some ground sausage along with the chunks of beef. Agree with Better Than Bouillon. Great stuff! What can I use instead of Masa? I’m allergic to corn. Thanks. 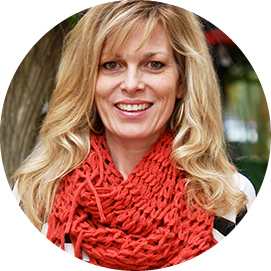 Hi Cathy! Masa is a dough made from corn flour. It is commonly used in Latin American dishes like tamales and tortillas. If people are really really in a pinch and can’t find masa anywhere I reccomend just buying yourself some corn tortillas and tossing them in a blender and getting it as fine as you possibly can as an alternative. You will get masa harina which you can mix with a little bit of water to make masa like dough/paste to thicken up as well. Looks great! Can the Masa be left out? Have all the ingredients to make this today not no Masa. Hi Janine. Yes it can. You might need to simmer the chili longer to get it to thicken up to the correct consistency. Your nutrition list does not give the size of a single serving. Would you kindly tell me the serving size for this chili? Hey Scott, I.m sorry I’m not sure what you’re referring to. The nutrition info has been updated, is that what you mean? Omg, Do you deliver?? This looks AMAZING! !